SmartGraphs: How Fast Am I Moving? 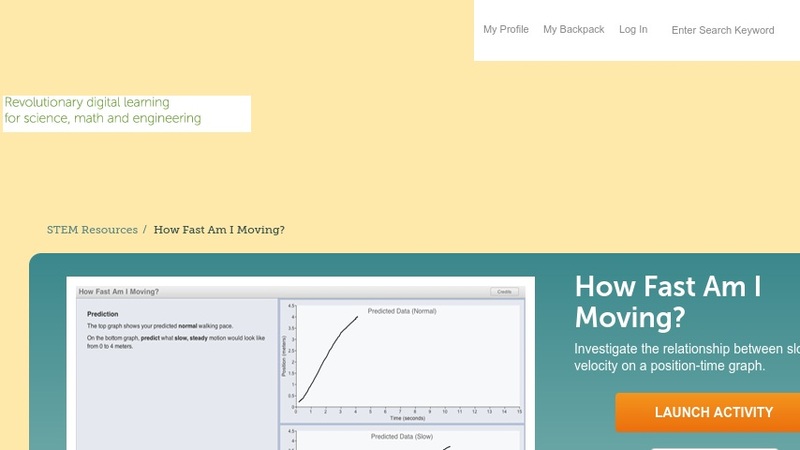 This activity for middle school blends a motion sensor lab with a digital "SmartGraph" tool to illustrate how a Position vs. Time graph can be used to find velocity. First, students use a digital graph sketcher to predict what a motion graph looks like at different speeds. Next, learners use a Vernier Go! motion device to record their own walking motion. The data from the motion sensing is automatically transmitted to the SmartGraph interface via a USB connection. Scaffolds are provided at intervals to help students calculate rise over run and understand how slope of a P/T graph is related to speed. This item is part of the Concord Consortium, a nonprofit research and development organization dedicated to transforming education through technology.